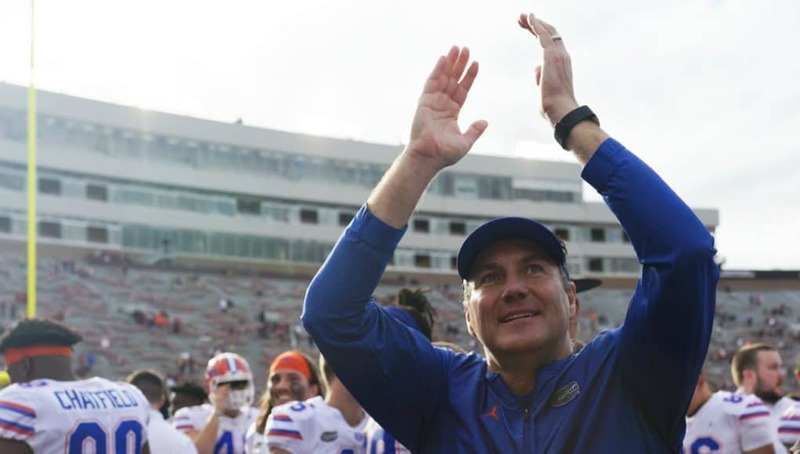 The Florida Gators picked up their eight commitment from the 2020 class on Monday night when they picked up a big instate target. 2020 receiver Leonard Manuel (6-4, 200, Ocala, FL. 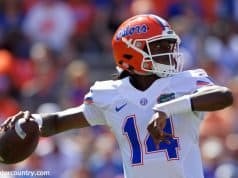 Vanguard) committed to the Gators over Georgia and Miami. “I’m 110%. 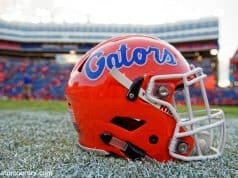 I’m a Florida Gator,” Manuel tweeted. Manuel visited Florida several times last fall for games and he admitted that he felt comfortable in Gainesville with this coaching staff. 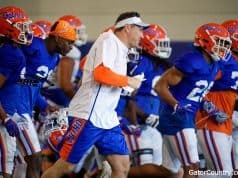 The 2020 receiver is a big physical receiver and the Gators coaching staff has already talked to Manuel about how they see him fitting into the offense and the receiver likes his future quarterback. Manuel joins 2021 teammates Trevonte Rucker and Bryce Langston as commits to Florida from Vanguard High School. With Manuel’s commitment the Gators now have two guys projected to play receiver in the 2020 class as Jaquavion Fraziars projects at the position as well.